Nearly 60 percent of all Tommy John surgeries are now performed on patients between the ages of 15 and 19. As the years go on, more and more young baseball players seem to complain of arm pain. A recent study published in the journal The Physician and Sportsmedicine showed that 29% of youth baseball players report episodes of shoulder or elbow pain by age 12. When the pain is early and persistent, surgery is often not far off. Nearly 60 percent of all Tommy John surgeries are now performed on patients between the ages of 15 and 19. In this article, I want to touch on three things we do at Rockland Peak Performance with our young ballplayers to help stabilize and protect the UCL. The flexor digitorum superficialis is an extrinsic muscle that allows the four medial fingers of the hand to flex. The flexor carpi radialis is a relatively thin muscle located on the anterior part of the forearm. It performs the function of providing flexion of the wrist and assists in abduction of the hand and wrist. The flexor carpi ulnaris arises along with the other superficial muscles, from the medial epicondyle of the humerus. These muscles flex the wrist and adduct it (move it laterally in the direction of ulnar). The pronator teres muscle is located on the palmar side of the forearm, below the elbow. Its function is pronation, or rotating the forearm into a palm-down position. 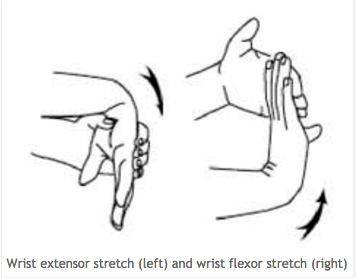 Below are a few of the exercises we do to strengthen the flexor/pronator group. Before performing these exercises, hit a wrist flexion and wrist extension stretch on both arms, holding each stretch for 20-30 seconds. These exercises can be performed twice a week for 1-2 sets each. Gains in external rotation occur naturally from throwing during the season, but excessive gains in external rotation can create an unstable shoulder. This forces the elbow to pick up the slack of that instability, placing added stress on the UCL. Monitoring throwing volume, as well as participating in a good strength training program complete with shoulder stabilizations during the season, can be a career saver.